Nothing suitable in promotional foldable hats? How about custom branded travel bags, logo printed corporate event hats or one of our promotional travel neck pillows? 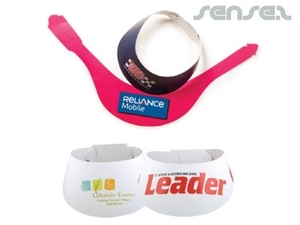 Promotional foldable hats make ideal cheap promotional giveaways. They are easy to store, easy to carry to the event and easily stashed away in your customers pockets. Foldable cheap promotional hats are practical as they don't take up much room and are usually light weight.